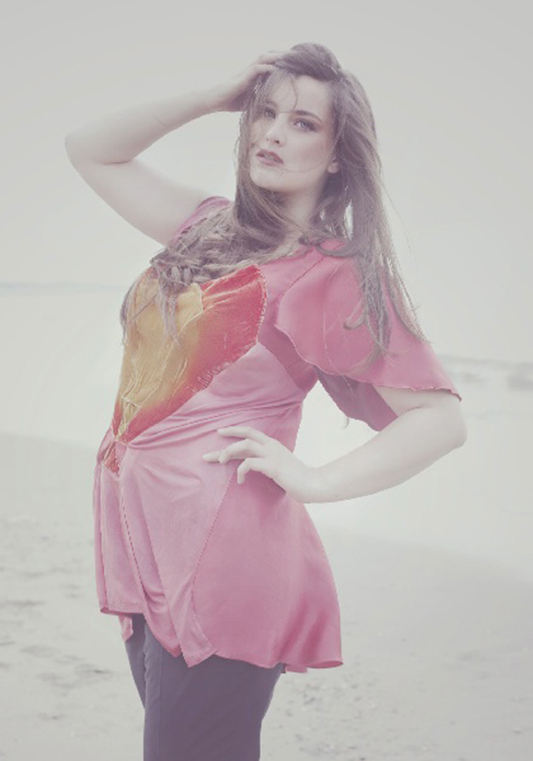 Layla Kühnen is Hollands first high fashion plus Size designer. When she studied at the Royal Academy for the Arts in The Hague she noticed that there was no high fashion label in Holland for curvy woman. 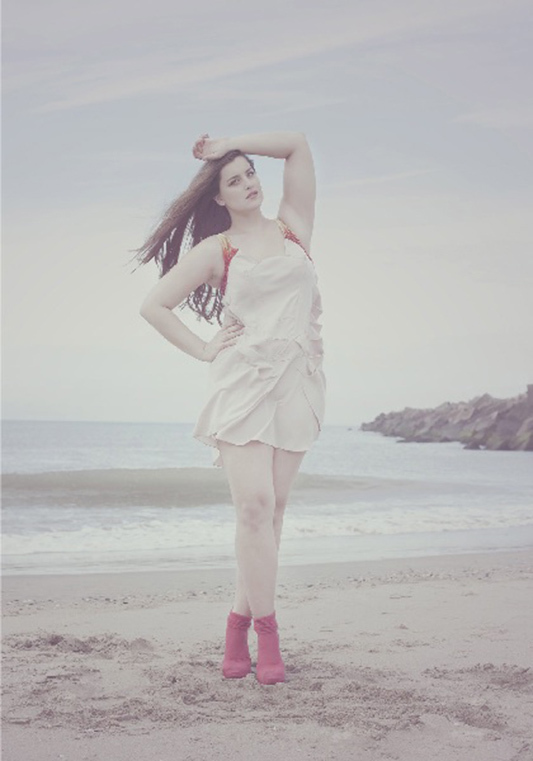 Being a curvy girl herself she decided to begin her own high fashion label for plus size woman. 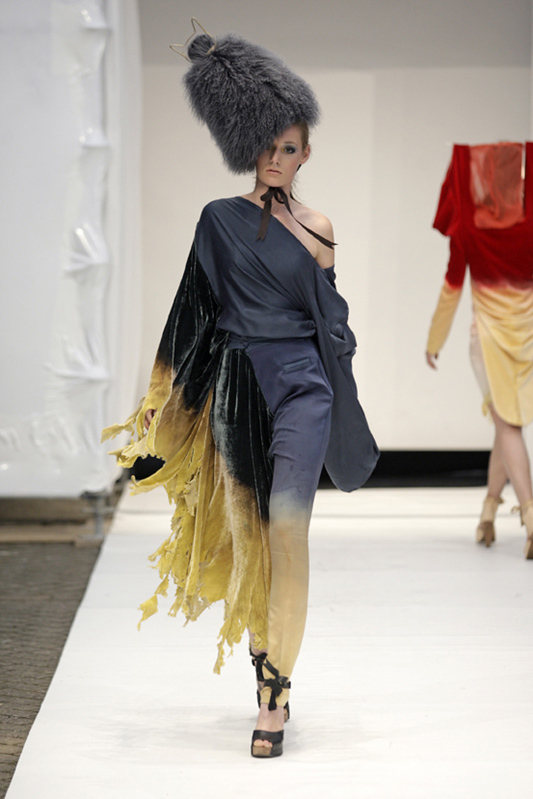 The pictures above are a sneak preview of her summer collection 2012 (by the name of “Indulging release”) and I must say I’m really excited to see more of it! 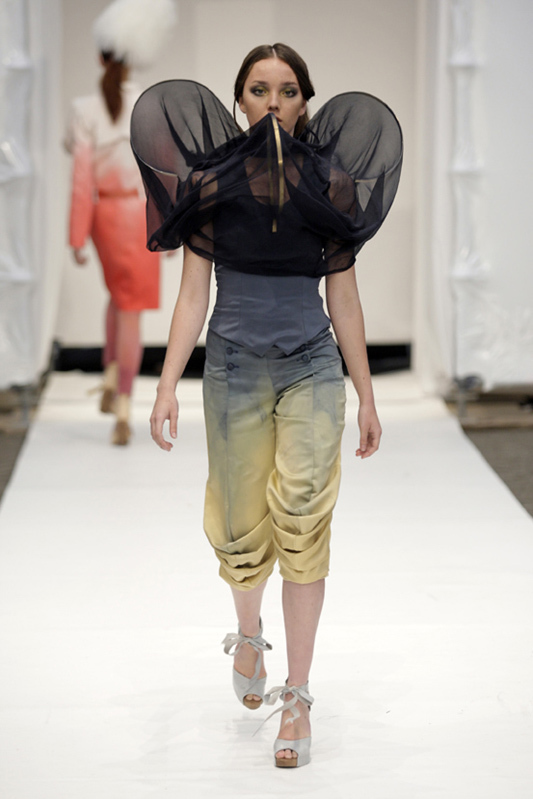 She uses luxurious and flowy fabrics, gorgeous color palettes and makes her pieces with an eye for detail. Pictures below: Being a designer myself I really love the story behind a design. What was the inspiration? 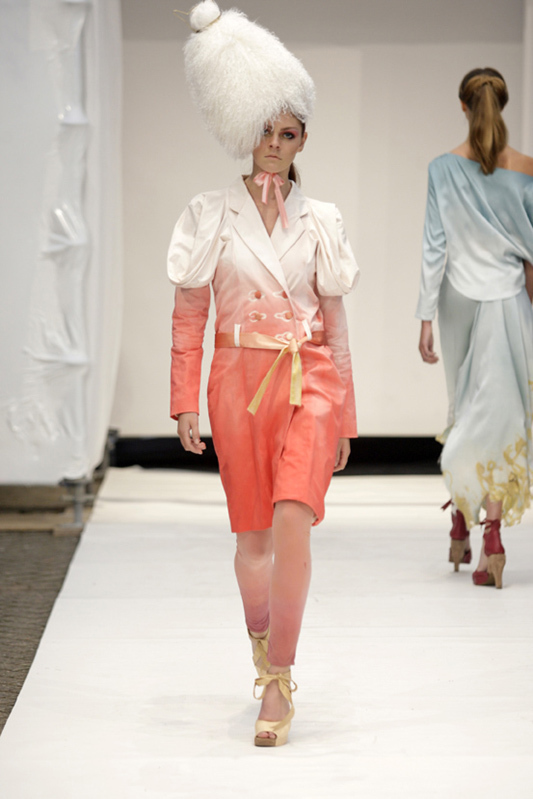 The collection she made for her graduation project was inspired by Marie-Antoinette. What if she still existed? How would the clothes and fabrics look like? 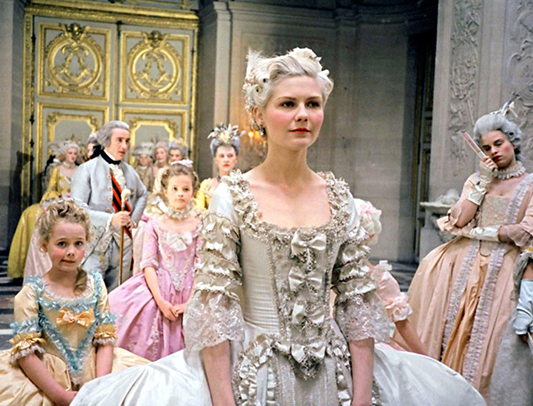 She reworked te fabrics in such a way that you still can see how rich and impressive they once were. 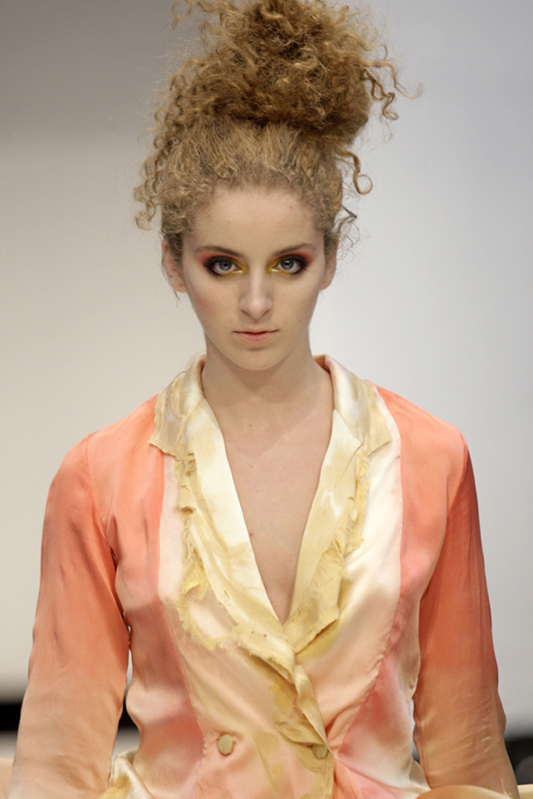 What’s very characteristic about Layla is that she uses silk jersey and satin and dies them in pale colors. The velvet she airbrushes with bleech, that’s how she makes the gradients. Hope you enjoy these pictures as much as I do and I hope I can tell you more about her collection some time soon. 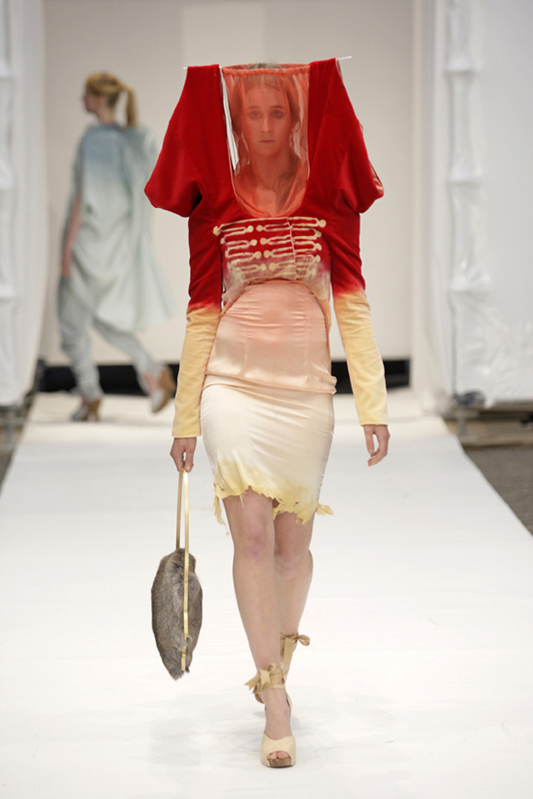 All pictures by Layla Kühnen.